Credits to duclerZ for the graphic. Excited to seen Reggie play. He could finally be that shooting guard we have been looking for. 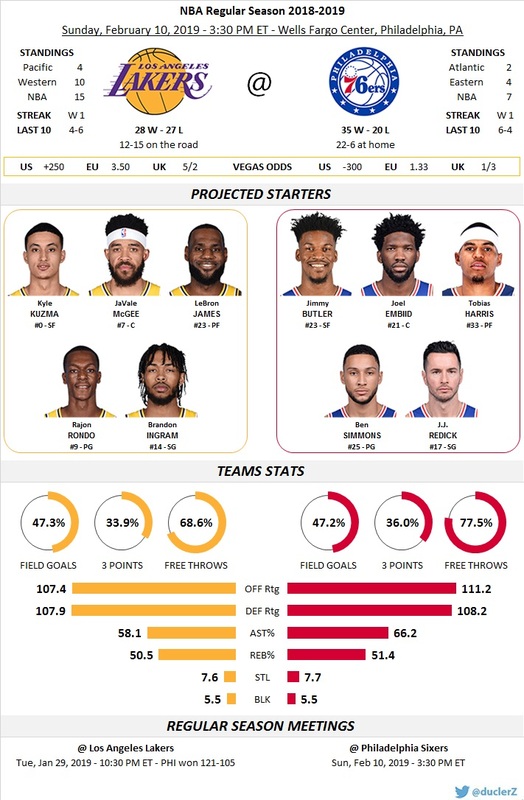 New starting line up for LAL: Brandon Ingram, Reggie Bullock, LeBron James, Kyle Kuzma and JaVale McGee. Walton hinted pregame that he was thinking about a different line up, and here it is. LeBron/Ingram can handle the ball w/starters, and Rondo control the 2nd unit. McGee has been garbage on D sub him out. Edited by lildvl10, February 10, 2019 - 12:58 PM. They basically got Harris for free. Must be nice. Lol so we’re slowly reverting back to Cleveland LeBron. He was full-time point guard for majority of his first stint. Him and Javale worked the PNR to perfection.